As Roger Corman's Tomb of Ligeia opens, one striking difference between this film and Corman's other Edgar Allan Poe films becomes immediately apparent. Shooting on location, in the honest-to-gosh English countryside, the director has unbound Ligeia from the stagy, claustrophobic studio sets that marked the rest of the series. Indeed, the entire first reel takes place outdoors. 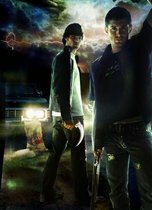 Unfortunately, the change is merely cosmetic, and the result is a lackluster ending to a classic cycle of horror movies. The decision to use more realistic settings takes Ligeia away from the subjective unconscious approach that influenced the previous Poe pictures. Here events are presented without as much of the sound and fury. The unfortunate upshot is that when Corman and screenwriter Robert Towne (Chinatown) play at love stories in the second act, they lose the sense of atmosphere so carefully built early on. The last section of the film often plays as a desperate attempt to regain the momentum. Corman relies on the studio sets again, firing off the standard repertoire of dream sequences, uneasy storms, and characters wandering down musty corridors at night. Alas, these are all tricks of that same subjective unconscious approach which Corman undercut so effectively before. Still, the film soldiers on, a Boy Scout flailing against the engulfing quicksand he's stepped in. The climactic battle shudders with the weight of its own histrionics as Price flails about against the most ridiculous of opponents, the set around him going up in the Standard Corman Inferno™, complete with stock footage from Fall of the House of Usher. Perhaps if the whole conflict wasn't taken so damn seriously, it would have worked better. When Re-Animator attempted a similar scene 20 years later, they played it for humor and it worked like gangbusters. Not that I blame Price. His one moment of pure ridiculousness comes as a result of the material; in the rest of the film, he's excellent. Severe yet tender, haunted yet secure, Price captures Fell's mercurial moods in a breathless whisper that hints at a rasp. Even with dark glasses reducing the visibility of his expressive eyes, he manages to toss off a look of intrigued disdain with skill. If you need a reason to see this film, let Price be it. The MGM Midnite Movies DVD features a transfer that would be excellent except for a few sections of muddiness. It comes with two commentaries, one by Corman and the other by Shepherd. Corman keeps his comments to the standard remembrances and discussion of imagery that we've come to expect from his other DVDs. Shepherd's commentary is moderated, although it's not a big help. She comments infrequently, and the track is ultimately skippable. On the flipside of the disc is a television production Price did in 1970 entitled "An Evening with Edgar Allan Poe." It's supposed to be very good, although I haven't had a chance to watch it. All the hopes that Corman's beautiful opening shots create are torn down by an almost pathological need to stick to the tried and true, even if it isn't working anymore. While the final result looks different than the other Poe films, Tomb of Ligeia ends up being more of the same, if more ponderous at times. Corman gave up his producer's credit to Pat Green in order to qualify for a British subsidy. Submitted by elviszappa on Sat, 2010-07-24 20:31. I recommend this fine Double Feature DVD to any fan of Vincent Price. 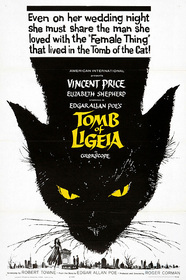 I have watched The Tomb of Ligeia multiple times, and I enjoy the film more than some of Price's recognized classics. It is a very good transfer in anamorpic widescreen. Don't miss out on the (made for TV) program on the flipside of the disc. 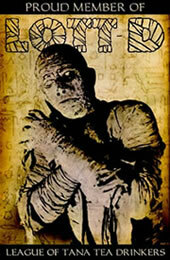 It features stunning one man performances of Poe classics by Vincent Price. This production is presented in video tape quality, but the quality of the content more than makes up for the image quality. Buy this DVD! You will not be sorry.